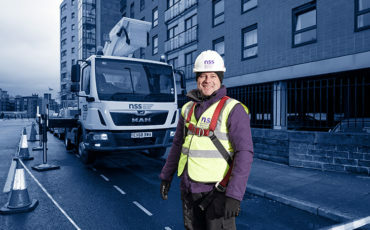 Mark Seager, UK Director, Technical Cleaning on leading our specialist cleaning division, spending time with family and how working on the ropes helped prepare him for a successful career with NSS. I left school in 1995, never went to college as I just wanted to earn money. Before getting into window cleaning, I worked in an office and a chemical factory, none of which were for me. Whilst working in the factory I cleaned windows on a weekend for my dad as he and my uncle had their own window cleaning business called “Clearview”. They cleaned all sorts of commercial and retail properties across the NW of England and it was doing this weekend work where I got the bug to follow in my dad’s footsteps and get into Window Cleaning. In 1997, I left the factory and jumped into full time window cleaning. I joined my brother, Steve, who was a manager at the time for a national window cleaning company called Taskers. I worked as a window cleaner between the years of 1995 and 1997, operating cradles, hanging out of windows and crawling up and down ladders as reach and wash had not established itself back then. I was hooked. In 1997, I took up rope access and worked as an abseil technician until 2005. I worked on all the high-rise properties in and around Greater Manchester, Liverpool and Birmingham. I loved being on the ropes. In 2005, I stepped into management, heading up contract such as the Bruntwood regions and RBS. In 2007, I got the opportunity to be part of the start-up team of NWC. 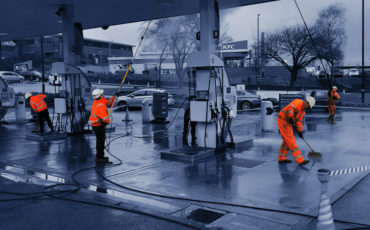 Our mission was to do something special and create the largest window cleaning business in the UK. 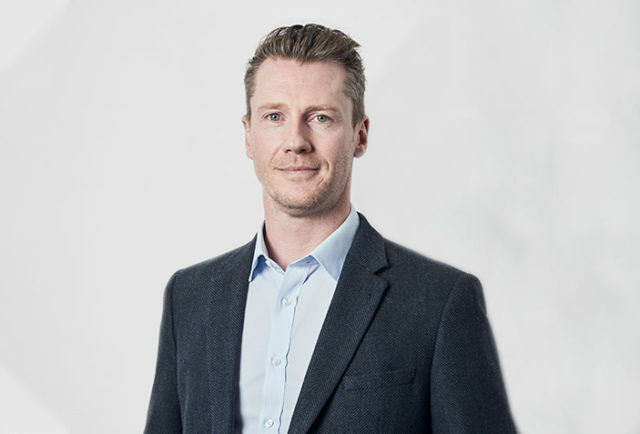 Ever since 2007 I have been involved at a senior level within the operations team, contributing and helping develop the business into what we have today. I am currently UK Director of Technical Cleaning. This specialist cleaning division provides niche-cleaning services on a national basis. Our clients include large blue-chip organisations across the retail and petrochemical sectors including Tesco, Sainsbury’s and BP. I have an excellent team and it is my job to ensure we deliver an excellent service and that we exceed customer expectations wherever possible. I regularly meet clients to discuss performance. I enjoy spending time with my team to ensure I am connected with what is happening at all times. I am responsible for compliance and the financial performance of the division in addition to the operations stuff. I am not one to micro-manage. I like to give people time to do their job. We are allowed to make mistakes and have the opportunity to learn from them. I like to lead by example and give guidance and support in a measured way. Developing a relationship is key to any type of man management and I would like to think that those who report into me, see me as an honest, balanced leader who they can approach at any time for whatever reason. I do not believe in asking someone to do something you would not be prepared to do yourself and I believe you should always treat others in a way that you would wish to be treated. From a work perspective, my proudest achievement has to be what we managed to build at NWC and the fact that I am still here after all these years. I’ve seen the business grow, win work, lose work, attract good people and lose good people but what a ride it has been. From a standing start, the NWC business grew to over 300 employees. We did what we set out to do and that was to build the largest window cleaning company in the UK. Now, as the cleaning division of NSS, the opportunities are endless and even more exciting times are ahead of us. The best is definitely yet to come! On a personal level, I am a proud father. Watching my children grow and develop into decent young adults is very satisfying. My youngest, Harrison is seven and he definitely keeps me busy with football and all his other sporting activities like swimming and cricket. Being able to take my mum to NZ and Australia to see family in 2010 was a very proud moment; I also got to do a bungee jump! What has been the biggest challenge you have faced throughout your career? One of the biggest challenges I have faced in my career was back when I was on the ropes. The first time I edged over a 20-storey building, in the wind, in the middle of January was not a good place to be. My legs shaking and palms sweating hanging from a piece of rope. What was I thinking? Although if I am honest I remember having the very same feelings when doing presentations and heading into difficult client meetings back in the early days. Challenges are there to be overcome and being on the ropes was a fantastic training ground to overcome them. Do what your gut tells you and do not believe everything you are told. Outside of work I am a family man and spend every Saturday playing football, cricket and swimming with Harrison. I like to keep fit by running, cycling, and playing golf (though I’m not very good!). Long walks are always a good way to unwind and whenever possible we get out in the fresh air. Every August I go camping in Cornwall with the family and in October, we explore the highlands of Scotland. NSS really is like no other business, our niche service offering and national capability is not matched anywhere in the industry. Our people and culture is one of a kind. Quite simply, success and opportunity for all. The merger has brought very successful companies together and the collaboration between both post-merger has been very refreshing. The vision and values of the group are sound and one that all who work within the group can be proud of. If you thought the past has been successful and exciting then hold on, we’re only just getting started!